Shopping for Star Wars Purses? Canvas crossbody purse based on the Star Wars saga! Features printed, patch, and applique details. Includes a removable shoulder strap. 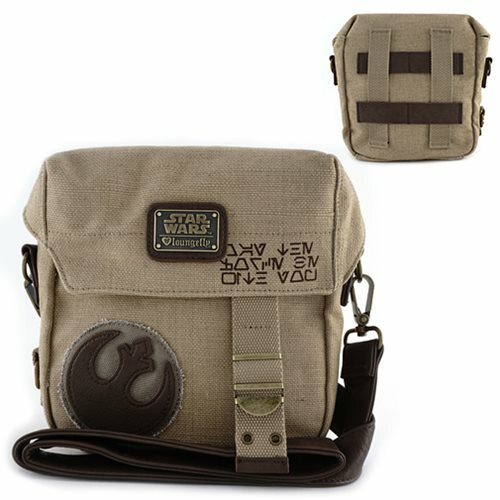 Showing the symbol of the Rebellion, this 8 1/2-inch wide x 8-inch tall x 3-inch long canvas Star Wars Rebel Crossbody Purse features faux-leather trim; printed, patch, and applique details; and an adjustable, removable shoulder strap. Join the Resistance! Ages 13 and up.